Kelsey is interested in understanding the molecular mechanisms that Anthozoans (sea anemones & corals) use to sense, and compensate for, changes in their internal pH. Understanding the effects of pH stress at the cellular scale will help us to predict how these keystone species will respond to the ongoing acidification of our planet's oceans and to develop more sophisticated conservation strategies. Kelsey's research focuses on the use of molecular techniques including microinjection, live-cell microscopy and CRISPR-Cas9 genome editing in the exciting new model for coral physiology - the sea anemone Aiptasia pallida. 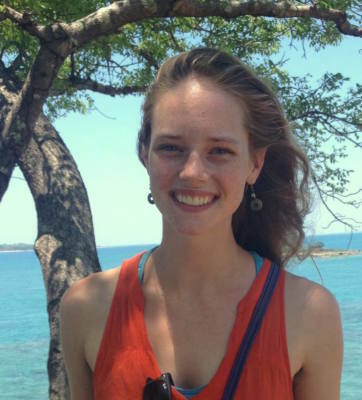 She is also developing educational outreach activities using Aiptasia in order to spark Philadelphia high school students' interest in biological research and conservation. 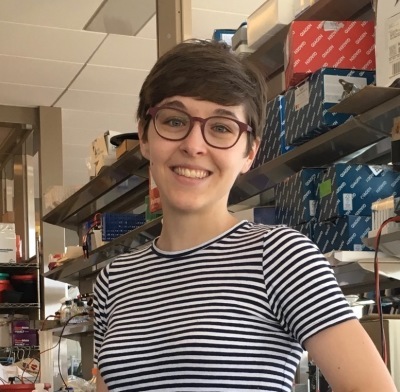 Before joining to the Barott lab in 2018, Kelsey received her PhD in Cell and Molecular Biology from the Perelman School of Medicine at the University of Pennsylania. 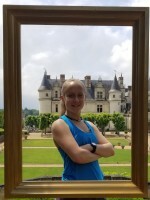 For her graduate work, she investigated how protein ligands involved in early vertebrate development (Wnts) recognize and activate cell surface receptors using a combination of protein biochemistry and in vivo assays performed in the frog model Xenopus laevis. When not in the laboratory, Kelsey can usually be found knitting, running or hanging out with her dog. I am interested in understanding the mechanisms of coral symbiosis and how it functions under different environmental conditions. 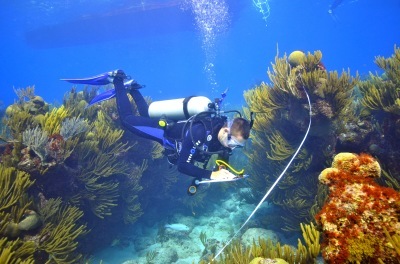 The ability of some corals to survive in habitats that others cannot is partly attributed to the symbiotic partnerships that they form, and understanding these symbioses can help predict susceptibility to stress (for example, coral bleaching), which has implications for conservation and management strategies that are becoming increasingly necessary under prevailing climate change models. Before joining the Barott Lab, I received my B.S. in Marine Biology from the University of Rhode Island and my M.S. in Marine Biology from Northeastern University, focusing on coral reef ecology. My graduate work investigated the spatial variability and potential ecological drivers of symbiont associations in reef building corals in Hawaii. The majority of Symbiodinium species are successful in two very different environments; the ocean and the host. I am interested in the physiological changes that occur when transitioning between free-living and endosymbiotic lifestyles. I hope to better understand the fundamental trade-offs encountered by Symbiodinium in the establishment of the symbiotic association; and whether environmental factors (carbon and light availability) encourage one lifestyle over the other. Before joining the Barott lab, I received my BS in Studio Arts from New York University. I completed a post-bac in Biology at CUNY Brooklyn College, where I studied metabolic pathways related to lipid and pigment production in green algae. I am curious about how symbiont variation alters cooperation in mutualistic symbioses. Symbiotic corals rely on microscopic algae (Symbiodinium) for energy. However, environmental change (like ocean warming) can cause the Symbiodinium to play a more parasitic role, destabilizing this ecologically essential partnership. 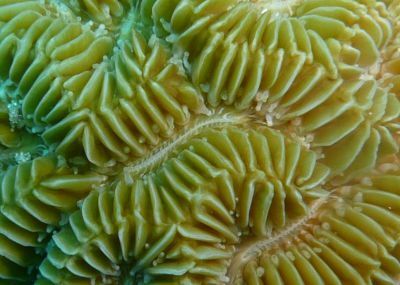 Understanding how changing symbiont strategies affect coral host health will help us better predict and manage reef responses to climate change, pollution, and other stress. Before joining the Barott lab, I received my BA in Biology from Swarthmore College, where I studied novel protein interactions in the symbiotic anemone Aiptasia pallida. I also worked as a research specialist studying virulence modulation in animal-bacterial mutualism at the University of Tennessee. My current project is seeking to further understand symbiont specificity through a direct comparison of the differential fitness effects conferred by two different clades of symbionts. By bleaching and subsequently reinfecting our anemones with clades A and B (both separately and in competition with each other), we hope to better understand the mechanisms of uptake and specificity in cnidarians. My interest in marine biology began when I stumbled into adopting a betta fish, which has now exploded into a fishkeeping hobby for me. When I'm not in lab or cleaning my fish tanks, you can find me hanging out with my freshmen as an RA on campus. I plan to pursue a Ph.D. in biology upon graduation from Penn. I am an animal husbandry assistant and am currently pursuing research projects investigating the resilience of the sea anemone Aiptasia in early developmental stages and their symbionts despite ocean acidification. As an avid scuba diver, I fell in love with coral reefs and hope to do research to protect them in the face of Climate Change. With an undergraduate degree in Biology and possible minor in Environmental Studies, I hope to pursue additional research opportunities and attend graduate school after Penn. I currently work as an animal husbandry assistant to monitor and take care of various corals and Aiptasia anemones. As a science nerd and avid animal lover, I joined Dr. Barott’s lab to learn more about these aquatic organisms and their importance in research on symbiotic relationships, climate change and the effects of ocean acidification on marine life. After completing my undergraduate degree in Biology with minors in Chemistry and French, I plan on attending veterinary school to obtain my VMD with the possibility of further career specialization pending additional experience in different fields, such as zoo medicine, agricultural medicine, and small animal specialty areas. When not in class or doing homework, you can find me watching movies, Game of Thrones, or rehearsing for United Percussion, a WGI world-class independent percussion ensemble. As someone who grew up by the ocean, I strove to study and care for marine life. At Penn, I plan to continue this by pursuing an undergraduate degree in Biology and continue my education after graduation. As an animal husbandry assistant, I work towards understanding the effects of climate change and other stressors on marine life by studying coral symbiosis. My interests include researching deep sea lifeforms and life in extreme environments to better understand how these organisms function on Earth and potentially elsewhere.